A Mexican Lady Dress including a Dress only – Ideal for an Around the World theme, a Mexican theme, or any fancy dress occasion! Grab your sombrero and party with this fantastic Mexican Lady Dress no matter what the occasion! This brilliant Mexican Lady Dress comes complete including a Dress only. 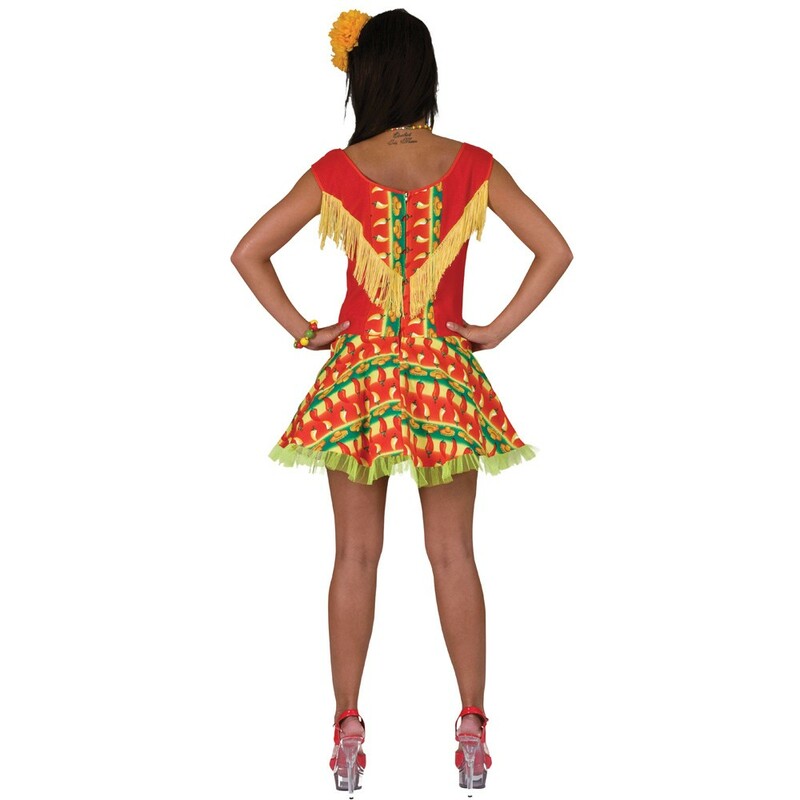 This vibrant red dress features a bright yellow green and red pattern, with a chilli pepper motif for this funky Mexican Lady Dress. With the yellow fringing across the chest, and the yellow net trim around the hem, this Mexican Lady Dress will be sure to make you stand out from the crowds. 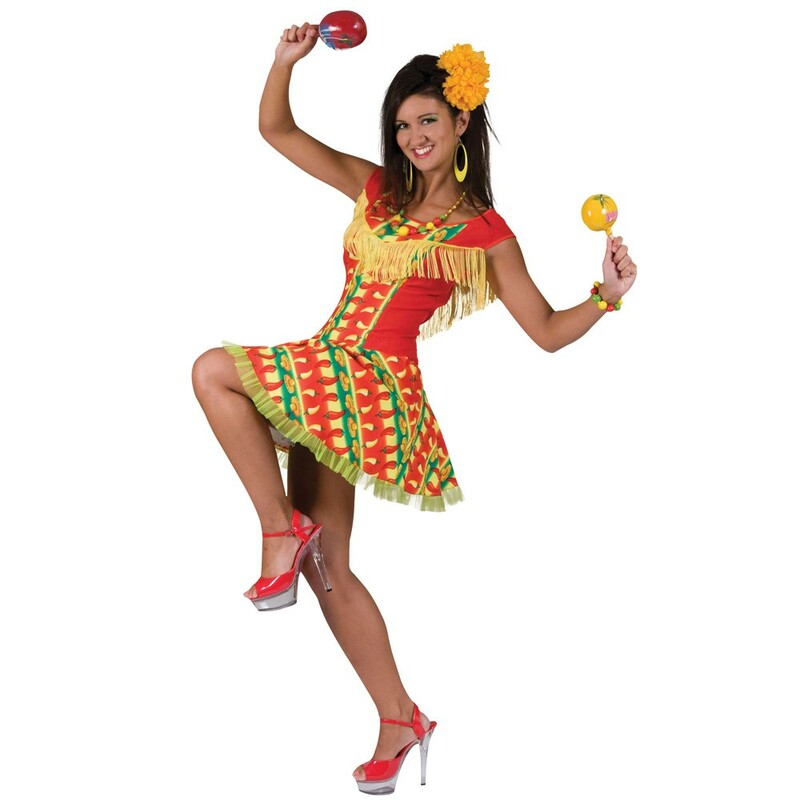 Perfect for an Around the World theme, a Mexican theme, or any fancy dress occasion, this Mexican Lady Dress will be sure to bring the party to you. A Mexican Lady Dress including a Dress only.